As a youth, I remember people saying in church that God was a jealous God while at the same time saying that God was the only God. That was confusing to me, because I did not know who God could possibly be jealous of. To tell the truth, it made God sound like a schizophrenic. No offense to schizophrenic friends. I’m just saying that how can someone who is unique ever be jealous–let alone an all-knowing, all-powerful, ever present someone. Trying to reconcile that was a painful mental exercise. 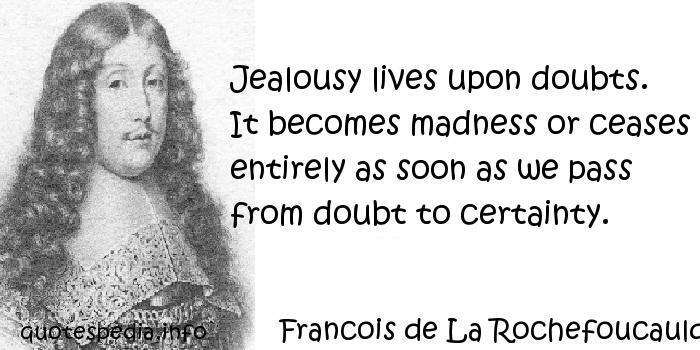 I did get some comfort out of the idea that maybe the way they used the word jealous in ye olde Bible writing times was different than how we used it now. I saw on an online Bible site that positive jealousy means – a passionate commitment to something which rightly belongs to one. So for God to be jealous makes sense because we belong to God. But it still didn’t cover the who God was jealous of. Over time I came to a point where the thought of a jealous God was incompatible with my faith and my experience of and relationship with God, so I just don’t say things like that. However, as I paid attention to my relationships, I began to notice how important jealousy is to many people. I see people using it all of the time in subtle ways and so now I have come to see the idea of a jealous God as more of how some people need to interpret their experience of God. I’m not saying it is right or wrong. I just perceive that saying God is jealous tells us more about ourselves and how we are with each other than it does about the nature of God. But hey that could just be my bias talking. You see, I’ve never been good with jealousy. Whenever I was in a relationship with someone and I could tell they were trying to make me jealous, my response was generally, “BYE”. My thoughts were, “If I have a reason to be jealous, I don’t have a reason to be around you.” That was often translated into, “You don’t love me” or some other misinterpretation of my sentiments, to which I would again undoubtedly respond inappropriately leaving the other person feeling abandoned. At the time the way I felt about it was that it was their problem if they needed multiple people vying for their attention in order to feel loved and that I was not put on earth to make people feel secure. But over time I came to look at people trying to make me or others feel “jealous” as a form of communication. Instead of just kicking people like that to the curb (do people still say that? ), I started asking myself, “What are they trying to communicate with this behavior?” Whether it was projection or not, I cannot tell you, but I came up with several translations that helped me be more patient with people who communicate to me this way. Here are my top 5. I want you to pay attention to me. In this case, the person really only wants your attention even though they may seemingly be fishing for attention elsewhere. They just want to know that they are important to you, but are not able to be vulnerable enough to come out and say it. In their minds it seems easier to have you chase them or fight for them than it would for them to come out and say what they want and take the risk of you openly denying them. This usually happens when you have been spending a lot of time paying attention to other things. I’m not lovable. Somewhere somehow this person was taught that they were not worthy of love. Even if you give them all of the attention in the world they will probably continue to feel this way until they come to see themselves as lovable. In fact, in these cases, the more you show them attention and love, the worse they often get due to something labeled cognitive dissonance. CD is the discomfort a person feels when they try to hold onto two contradictory beliefs at the same time. They believe they are unlovable, but they know you love them. In an effort to make one of them true, they may take the path of least resistance and seemingly more comfort and either make you work to prove your love by trying to make you jealous or push you away so that when you finally give up they can maintain their belief that they are unlovable. I know you can do better. Sometimes you may find yourself in a relationship where the person knows that with a little work you could be so much better. Unfortunately, you may not see your own potential and so they figure the best way to show you is through something called negative motivation (google it). Basically NM is a way of pushing you toward something better for you by threatening you with something you don’t want. As it pertains to jealousy, it could manifest as your boss telling you about a coworker who performs better than you, but who has less talent. Or in a romantic relationship, your partner could subtly suggest that if you were more like so and so then… or a parent might say, “Why can’t you be more like…?” In these people’s minds they actually think they are doing a good thing even though to the recipient it can often have the opposite effect of what the initiator is going for. Just know that in their minds they are usually trying to do something they think is good. That doesn’t mean you have to accept it though. I have other options. Sometimes the person is safety motivated and they just need to know that they have other options open to them. Sad but true. If you are a little jealous then you will keep working hard to make them happy and if you end up being a dud, well at least they have other options. In this situation, the clock is always ticking whether it is with a job or a significant other. They are always calculating and hedging their bets to prevent loss. They are never “all in” and if you don’t prove yourself to be a sure thing within a certain window, they will cash in their chips. If you can accept this and are a person that likes the feeling of “winning” then this might work for you for a while. Just know that if you have too many bad days, they are out of there or you are going to be fired. I don’t like you anymore, but I am too scared to tell you so I just want you to get mad and break up with me or quit. This is the cowards way out and you just need to accept it or suffer. They will never tell you how they feel really, because that would mean that they have to take too much responsibility for their emotional lives and chances are they were hurt or something so long ago and it goes so deep that their default is to avoid confrontation. All you can do in these situations is to resolve yourself to suffering until circumstances end it. i.e. the company downsizes, your partner just disappears one day, your parent passes away. These relationships will always end painfully. The only way to lesson the pain is for you to take responsibility for both sides. If you have that kind of juice then go for it. But if you are waiting for them to own up, fuggeddaboutit. The best you can hope for is that they will send someone else to tell you. Well that’s it for my top 5 translations. I have a lot more but I charge for those, because they get increasingly complicated and make my body hurt just thinking about them. While these translations are most easily applied to romantic relationships, I think that with a little creativity you can see how they can run the gamut of human relations from family to work to even church. If there’s one thing I have discovered about people it’s that many of us have a limited amount of tools in our emotional toolbox (no offense) and little interest in picking up new ones. It seems to me that we typically use whatever emotional access we developed as children and use it even in situations where it doesn’t apply. I am calling this out, because I think we have the ability to move beyond jealousy and into responsible communicating, but in order to get there more of us are going to have to be willing to take the pain. This French dude probably knows what he is talking about. They call jealousy the green eyed monster. But maybe just like the Incredible Hulk, perhaps jealousy is just misunderstood. I also prefer straightforward communication. However, in my experience that is such a rare thing for most people. I used to take people at their word, but after so many people later said things like, “that’s not what I meant”, I started teaching myself to translate the energy and to respond to that instead. It has been very helpful for me though very painful, because it is literally like trying to learn another language, but with using the same vocabulary words to mean different things depending on who is saying it. Does that makes sense? I haven’t written yet, but I am going to create a post about how we are all speaking different languages regardless of the words we use. We need to take responsibility for what we say as well as what we hear when we deliberate engage in relationships.